Thoroughbred horse racing photography from a fan's perspective. 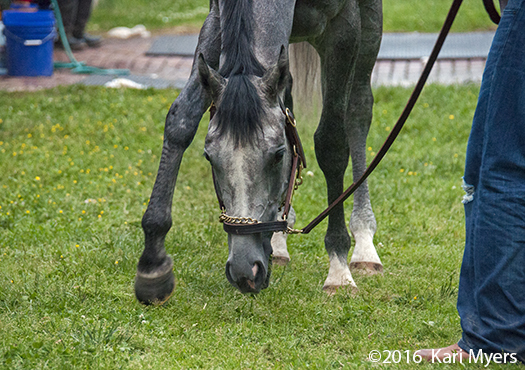 Mohaymen grazes after his run in the Kentucky Derby. Part of Mohaymen’s routine includes being grazed three times per day for at least 30 minutes. An hour after his run in the Kentucky Derby, where he finished a respectable 4th, he was intently munching away on the green grass behind his barn. Such a wonderfully calm, lovely horse. 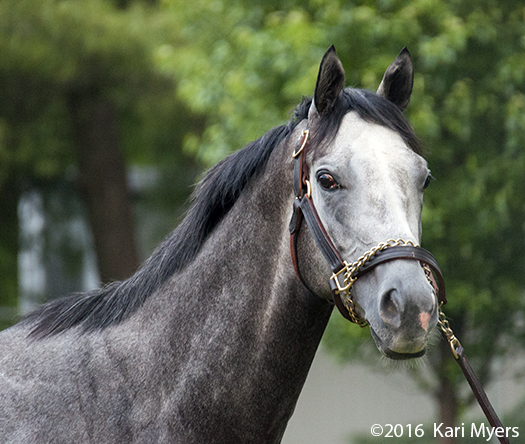 Mohaymen the evening of the Kentucky Derby.